By 1708 the Medici grand ducal “spezieria,” or pharmacy, had grown into a complex of eleven rooms located in the main ducal residence, the Palazzo Pitti. It included a medical laboratory for the production of alchemical medicines, a pharmacy for the production of herbals, syrups and powders, and a distillery for the production of medicinal waters, tinctures, and liquors. When foreign guests, dignitaries, and members of the court entered the spezieria they were greeted with stuffed exotic animals like armadillos and crocodiles. The first room of the spezieria was dedicated to one activity in particular – the consumption of chocolate. This wasn’t just any chocolate, however, it was a secret and highly coveted recipe for jasmine chocolate. According to Francesco Redi (1626 – 1697), chocolate arrived in Florence in 1606 and was presented to Duke Ferdinando I by Francesco d’Antonio Carletti, who had just returned from a journey through the East Indies. This story is likely apocryphal, however, and it would take another five decades before drinking chocolate for its medicinal effects was popularized in Florence. 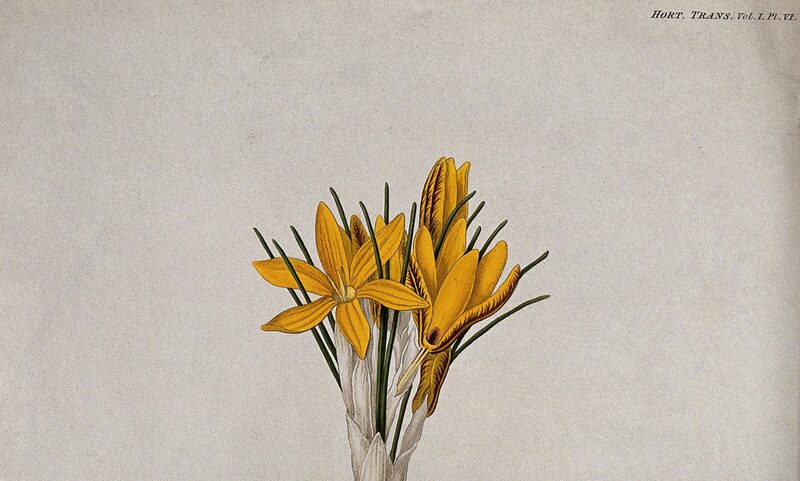 Redi, who was a poet, head physician to the grand duke, scientist, and superintendent of the royal pharmacy, wrote that chocolate had become popular in noble houses and princely courts because it could fortify the stomach and improve overall health. He also explained that while the Spanish were the first to receive and manipulate chocolate, the court in Tuscany was the first to infuse chocolate with flavors such as fresh citron, limoncello, jasmine, cinnamon, vanilla, and amber. In an attempt to compete with the popularity of Spanish chocolate, Cosimo III commissioned Redi to create a proprietary chocolate recipe. Drawing on his alchemical knowledge, Redi created a complex and elaborate recipe for the grand duke. The process for creating jasmine chocolate, as it was known, took more than ten days and thousands of jasmine flowers. Not only was jasmine chocolate a testament to the duke’s wealth and the abilities of the grand ducal spezieria, it was also a symbol of Medici taste, refinement, and power. Jasmine chocolate quickly became popular at the Florentine court and a closely guarded state secret. Cosimo III forbade anyone from writing or publishing the recipe and this refined beverage could only be consumed at court or in the noblest of houses. The manipulation and production of chocolate in the grand ducal spezieria was a powerful instrument in the world of early modern statecraft. For Cosimo III chocolate was an important political statement. The acquisition of cacao from the West Indies, not New Spain, its manipulation using Medici knowledge of iatrochemistry, and ceremonial consumption at court were mechanisms of statecraft – an attempt to appear more worldly, knowledgeable, and regal than the Spanish court. The seventeenth century was a period of intensifying centralization, rivalry, and conflict among the states of Europe. As the duke of a smaller state, Cosimo III was caught between France, England, and Spain on one side, and the Holy Roman Empire on the other. Cosimo negotiated tirelessly to appease both sides, attempting to secure important marriage alliances that would ensure the status and independence of the Grand Duchy of Tuscany. In 1689, Cosimo III was offended to learn that the Duke of Savoy had purchased the style of Royal Highness from Spain, a title Cosimo had been vying for. With the marriage of his daughter to the Elector Palatine, Cosimo was finally given royal status from the Holy Roman Emperor. 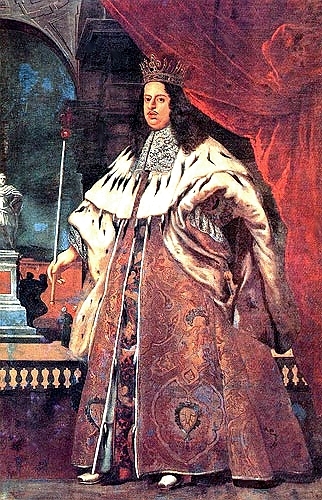 Thus, from 1689 Cosimo III was recognized as His Royal Highness, The Most Serene Grand Duke of Tuscany. Cosimo III also found himself having to compete culturally and intellectually within an expanding global colonial market. Without colonies and heirs, Cosimo faced the difficult task of preserving the prestige and autonomy of Florence. In this context, the royal spezieria takes on an important significance. Cosimo’s interest in chocolate, and pharmaceutical patronage in general, was a product of both his personal interest and political needs. At the dawn of the eighteenth century, Cosimo III still had no grandchildren. Not only did France and Spain continue to refuse to recognize Cosimo’s royal title, the new Holy Roman Emperor Joseph I also refused and attempted to extract massive feudal dues from Cosimo in 1705. Cosimo was also keenly aware that his death brought about unanswerable questions concerning Tuscan succession and independence. The grand ducal spezieria produced tangible medical therapeutics, which could prolong the health and life of the aging grand duke, so that he could protect the Medici state and manage its succession. 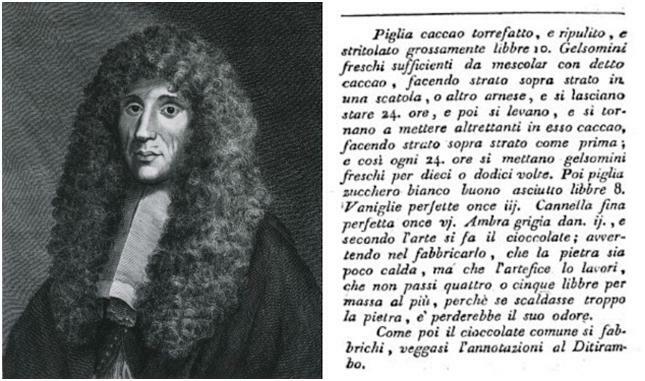 Furthermore, therapeutics, such as secret chocolate recipes, functioned as valuable gifts that could aid in solidifying political alliances and interpersonal relationships with important elite families across Europe, relationships that could aid Cosimo as he attempted to ensure the survival of Medici prestige and autonomy of the Tuscan State. I wonder if you have come across “zuzvese” as an ingredient in the alchemical recipes from Italy that you have studied? I found it in a recipe from Caterina Sforza and have not been able to find a translation for it. Gigi, unfortunately I have not. You might try reaching out to Meredith Ray (I believe she’s at the University of Delaware). She works on the recipes of Caterina Sforza and might have a better answer for you. Good luck! Stemming from your earlier Princess Anna Maria Luisa de Medici posts, did you come across two pages, one in Portuguese, and another in Italian, describing “Pietri Cordiali” (cordial stones)? Yes. In Anna Maria Luisa’s collection there are stones referred to as “das Pedras Quadradas” in a Portuguese document, and in a separate letter (in Italian) there are stones called “Pietre Cordiali.” According to the documents, the square stones are natural, while the cordial stones are made in the Jesuit pharmacy in Goa (commonly called Goa Stones). I hope this information is useful! Feel free to email me (albucha2@usf.edu).